Willem van de Velde the Younger. Dutch Dutch Baroque painter, born 1633 - died 1707. Painter, son of Willem van de Velde, born in Leyden, W Netherlands. 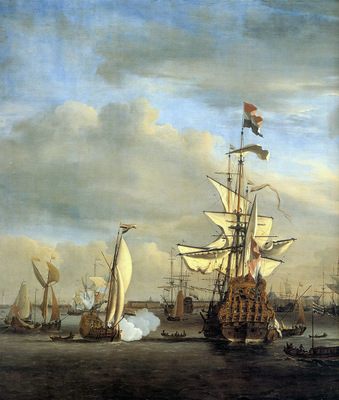 Like his father, Willem van de Velde the Younger was almost exclusively a marine painter. With him worked in England for Charles II, which accounts for the large number of his works in English collections. Willem van de Velde the Younger specialized in depicting naval encounters.